We are a new age hemp wellness brand helping women to find their inner calm, chill bliss through the plant magic of USA farmed CBD products. 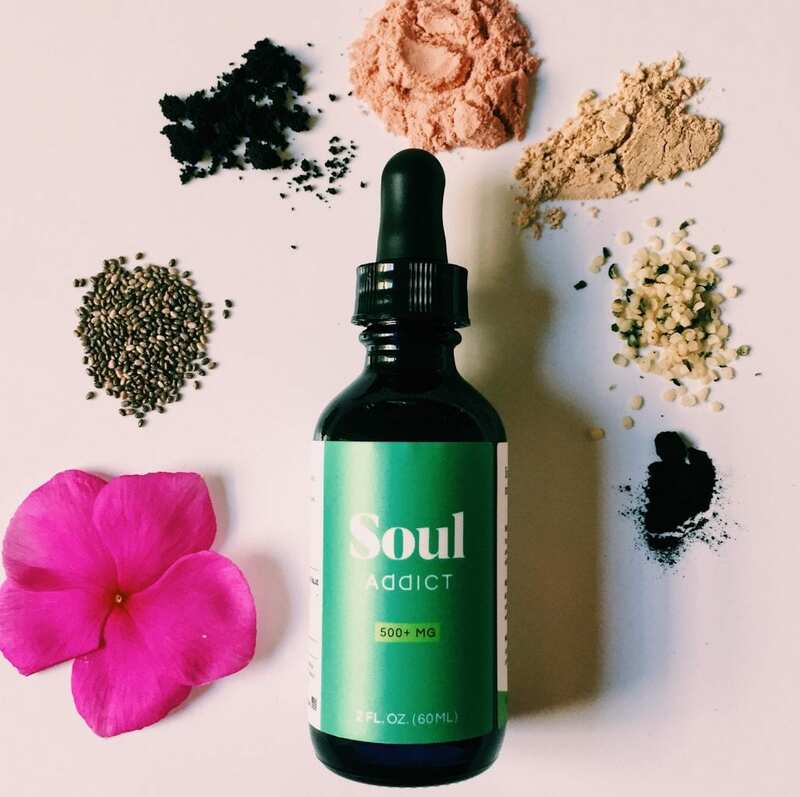 Soul Addict is on a mission to empower your wellness journey through the love we send through our hemp products and our commitment to help propel and re-shift the conversation around plant remedies. As a western North Carolina native and plant power advocate, our founder (re)discovered the power of CBD through her own struggles and experience with anxiety and bouts of depression. This is nothing new these days, as more people struggle, we’re still growing farther away from the Earth and nature which has felt counter-intuitive to seek wellness outside of these realms. Growing up on a farm created an inner-dialogue within her to always seek natural alternatives to most modern day routes, she wanted something that could help empower her daily wellness- but not at the expense of harmful negative side effects. She began researching the cannabis industry as that alternative, she came across the hemp movement. From states pushing for industrializing the hemp plant to learning more about hemp’s potential health benefits, she began to read about the incredible plant power of CBD. She was immediately intrigued to learn that CBD from hemp was legal and had shown signs of positive results for medicinal use for so many. Sourcing a bottle from a local Colorado farm, she noticed after just a few weeks of use there was such a life-changing improvement that it began her journey of getting involved in the hemp movement and sharing about the wonder of CBD with others. As the movement for natural remedies expands, she hopes to inspire people to learn about the power of nature, the importance of education in learning more about food source and the overall health of the Earth and how this begins to feed and conspire a greater inner-dialogue and consciousness of empowering our journey to wellness and higher health. CBD is a naturally occurring component found in hemp/cannabis plants. Being a cannabis-derived oil (which can be found in both industrial hemp and marijuana, as the word ‘cannabis’ refers to the Latin genus form for both) it has a significant amount of cannabidiol (CBD) found within it. Our CBD oil contains .3% or less of THC and comes from hemp, so there are no intoxicating or psychoactive effects when using our products to empower your wellness. In a nutshell, the benefits of cannabis without the feeling of being ‘high’, as the components of the hemp plant is much different than that of marijuana. Our products are sourced from small farms in Colorado farming under the federal pilot program initiative to research industrial hemp plants. We’re also one of the first women-founded, women-owned companies to receive our license from the NC Hemp Commission to begin farming hemp for CBD under the Federal Hemp Pilot Program in Western North Carolina beginning May 2018. We plan to use our farm to continue our mission to spread education about the wonders of CBD for health and the future of hemp for sustainability. We use full Spectrum & whole-plant extract CBD for nutrient bioavailability. Our products are developed using CO2 extraction methods (much like cold-pressed juice! ), leaving behind the purest, safe, and rich naturally occurring hemp CBD for a mind and body bliss. Unlike some hemp CBD companies, we do not isolate our products as we feel this can tamper with purity and potency. Our products contain CBD and naturally occurring nutrients. Beautifying amino acids, chlorophyll, vitamins (including B1, B2, B6, D), trace minerals (including iron, zinc, calcium, magnesium, potassium), fatty acids (including omega 3 & 6), beta-carotene, flavonoids, ketones, nitrogenous compounds, glycosides,alkanes, pigments, water, and terpenes. Our hemp is grown 100% sustainable and thoughtfully. Only the highest standards go into growing our hemp, using organic farming methods. Functional food. Clinical studies are showing positive research for CBD’s wellness benefits for multiple chronic diseases. High vibrational and made with love from farms in Colorado to our HQ in New Orleans, always. Our hemp is sourced from devoted and talented Colorado farmers, from there our products make their way to our HQ in New Orleans, where we ship your order with lots of love, light and good vibes from our small team of wellness-addicted, soul junkies. Our products provide a new kind of wonder-food. Bring your ‘zen’ with you, wherever you go- anxiety in the mornings when you wake up? Add our elixir to your morning wellness routine or a smoothie. Stressed at work? Take directly or add to a shake. Feeling down at night? Mix in a mocktail and dance the night away. 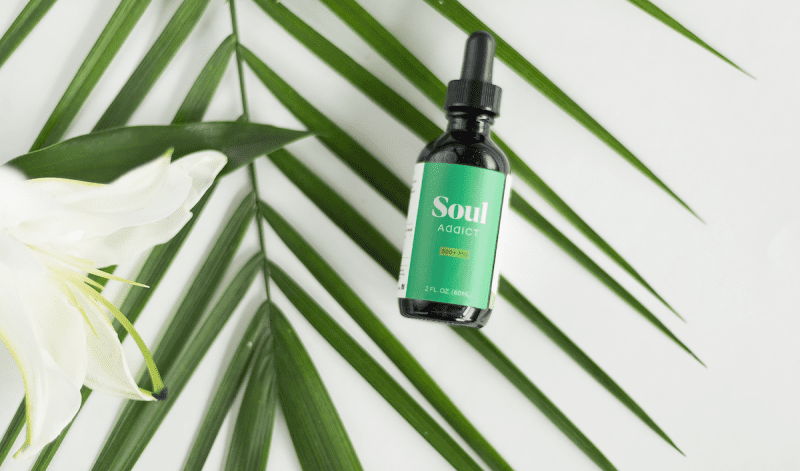 We’re in a time and generation where the cannabis space is becoming redefined; Soul Addict is a part of that movement in our mission to empower women’s path to wellness through hemp extract’s plant power. Our inspiration comes from the rediscovery of plant-based remedies and sharing this exciting new wave of acceptance in the health and wellness industry. We believe right now more than ever we are able to create a space for women, and all those on a journey to wellness, to shift the stigma around paths to higher health. 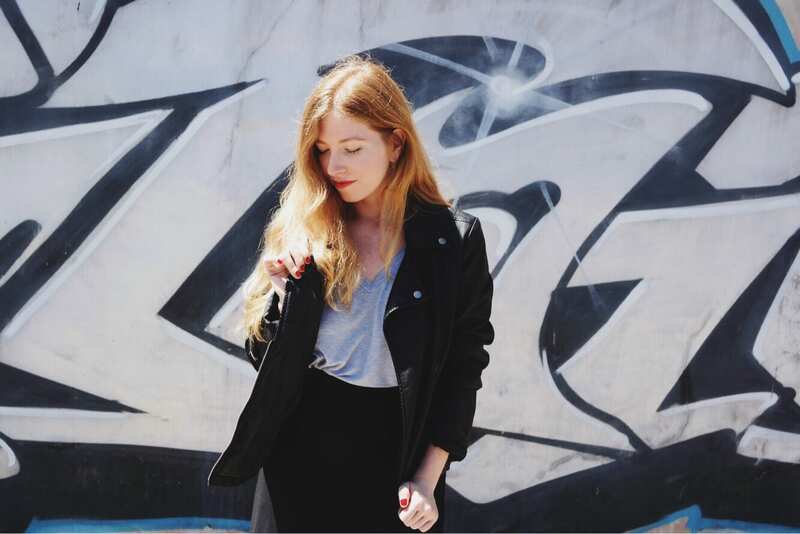 We want to move away from fads and trends and empower your journey and what works for you. We believe we can spark, inspire, and illuminate conversations on what health, wellness, and seeking natural alternatives can look like now and in the future. Our CBD’s mind-and-body loving therapeutic potency is a nutritional natural wonder as it’s full of naturally occurring antioxidants shown to work holistically within our own bodies endocannabinoid receptors. This system helps our bodies create and maintain homeostasis balance. Day or night, our CBD can be added to your favorite teas, smoothies, tonics, raw foods, or straight-up as an elixir for your new favorite daily self-care beauty mixer. Your health is our highest concern, so each batch of our products is tested to ensure potency and purity because you deserve unicorns and pretty things. We use High-Pressure Liquid Chromatography (HPLC), as well as a Gas Chromatography-Mass Spectrometry (GC-MS) systems to test for any residue that may compromise our commitment to purity. We like to say CBD is the coconut oil of cannabis. Soul Addict’s CBD Hemp Elixir is travel-friendly and can be used as your favorite daily, zen-inducing health aide or mixed as a beauty-infused topical for skin and body. What makes our oil stand apart from the rest is how our producers extract using CO2 methods and delivering our CBD with all the whole-plant extracts of the hemp plant. Like cold-pressing juice, our oil is produced using the same standards to ensure the most powerful CBD potency and nutritional preservation. We’re so glad you found us and we found you. Let’s create a community of wellness-addicted, soul junkies.